VeriCite DocumentationUser GuidesSakai User Guide Instructor ArticlesHow do I view VeriCite reports for student submissions? 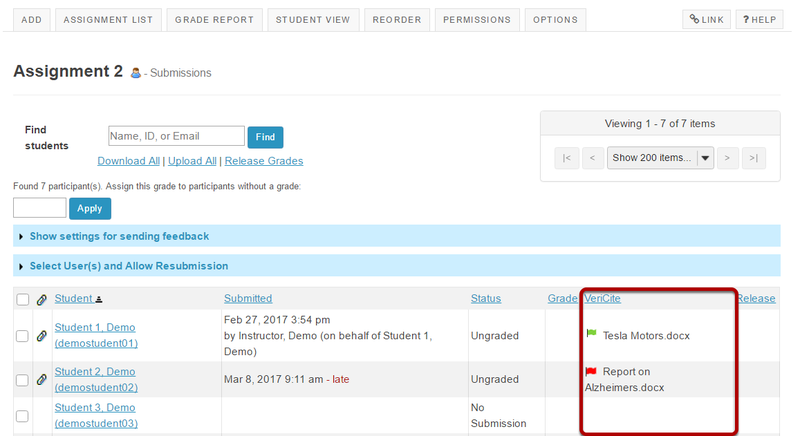 Select the Grade link for the assignment submission reports you want to view. Zoom: View list of submissions. 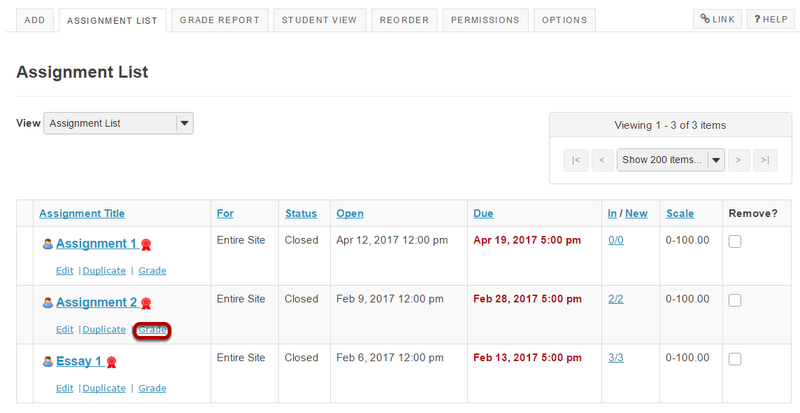 You will see a list of the students in the class, and for those with VeriCite reports, a colored flag will appear in the VeriCite column. Flags are color-coded to indicate the level of plagiarism (i.e. matching text) detected. The type of submission will be shown next to each report flag. Inline submissions will be indicated as such, and file attachments will display the filename of the attachment. 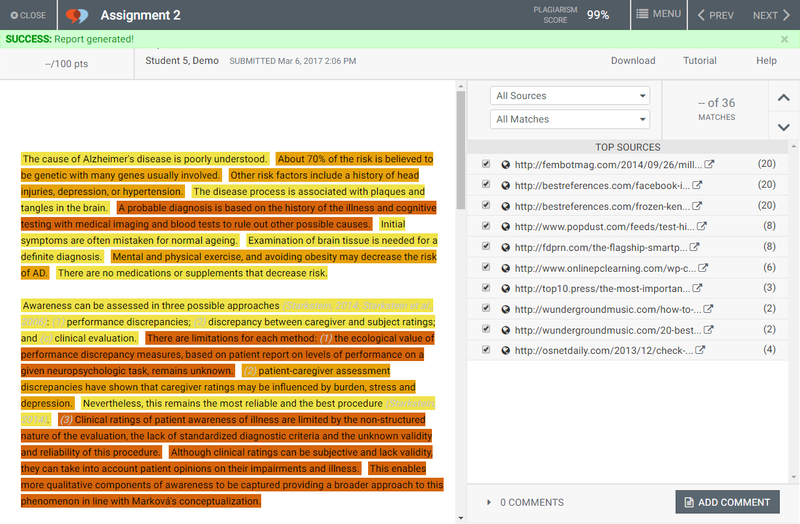 For students with multiple submissions on an assignment, a unique report will be generated for each inline and/or file submitted as part of the assignment. Note: Text within quotation marks is excluded from the matching text. Click on a flag to view the report. Note: Mousing over the flag will display the report score. Zoom: The report progress indicator will appear. Each time a user views a report, the report is dynamically generated. Note: When a paper is submitted, VeriCite scans for matching text in our VeriCite web-crawler database and in your private institutional repository. VeriCite then takes the top most advanced sentences from the paper and submits them to an external search engine for a third level of search. A preliminary report, based on the VeriCite database and your institutional repository, is displayed right away. If you see a Report Is Not Yet Complete Message, this means that the external search results have not yet returned and you will need to view the report again later to see all of the results. Typically, this only happens the first time a report is viewed.